Teste seus conhecimentos sobre os Adjetivos em Inglês para acertar tudo na hora da prova! São apenas 10 questões do Simulado Enem! Caso erre, tem dicas para estudar! Newsweek, nov.2, 2015. Available at: <http://www.newsweek.com/parisclimate-conference-success-389792>. Hiking here is not hard and you can also get help from the indigenous population, as they organize tour guides in exchange for a small sum of money. If you are on your own however, try to reserve at least four days for this fantastic journey, as there are plenty of things to see and enjoy up there. Mount Roraima is said to have some of _____________________ hiking trails in the world. You should not leave after 2 p.m. from the village as trekkers are no longer allowed after this hour. At the beginning of your climb, your baggages will be strictly checked and you can not take more than 15 kilos with you. So careful how you organize things. Being given that this is a national park , you are not permitted to take rocks or plants along the way. The top of the mountain measures 2772m, it offers amazing landscapes and establishing a tent around here is possible. However, you should know the weather changes suddenly in this area so be prepared. 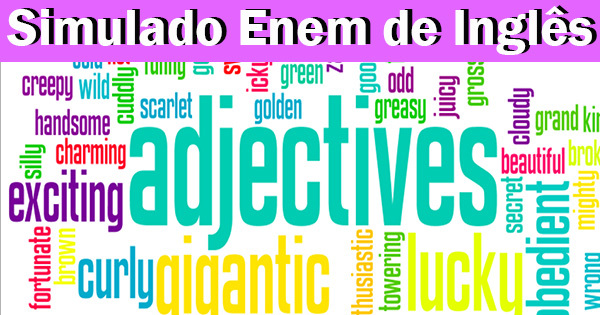 Which alternative below contains an adjective in the superlative form that best complete the gap in the text? Mars is a small rocky body once thought to be very Earthlike. Like the other terrestrial planets – Mercury, Venus, and Earth – its surface has been changed by volcanism, impacts from other bodies, movements of its crust, and atmospheric effects such as dust storms. It has polar ice caps that grow and recede with the change of seasons; areas of layered soils near the Martian poles suggest that the planet’s climate has changed more than once, perhaps caused by a regular change in the planet’s orbit. Martian tectonism, the formation and change of a planet’s crust, differs from Earth’s. Where Earth tectonics involve sliding plates that grind against each other or spread apart in the seafloors, Martian tectonics seem to be vertical, with hot lava pushing upwards through the crust to the surface. At present, Mars is too cold and its atmosphere is too thin to allow liquid water to exist at the surface for long. There’s water ice close to the surface and more water frozen in the polar ice caps, but the quantity of water required to carve Mars’s great channels and flood plains is not evident on – or near – the surface today. Images from NASA’s Mars Global Surveyor spacecraft suggest that underground reserves of water may break through the surface as springs. The answers may lie deep beneath Mars’s red soil. Unraveling the story of water on Mars is important to unlocking its past climate history, which will help us understand the evolution of all planets, including our own. Water is also believed to be a central ingredient for the initiation of life; the evidence of past or present water on Mars is expected to hold clues about past or present life on Mars, as well as the potential for life elsewhere in the universe. And, before humans can safely go to Mars, we need to know much more about the planet’s environment, including the availability of resources such as water. Mars has some remarkable geological characteristics, including the largest volcanic mountain in the solar system, Olympus Mons; volcanoes in the northern Tharsis region that are so huge they deform the planet’s roundness; and a gigantic equatorial rift valley, the Valles Marineris. This canyon system stretches a distance equivalent to the distance from New York to Los Angeles; Arizona’s Grand Canyon could easily fit into one of the side canyons of this great chasm. Mars also has two small moons, Phobos and Deimos. Although no one knows how they formed, they may be asteroids snared by Mars’s gravity. Ever had the feeling your past is slipping away? There’s a simple trick that should reinforce your recollections. Have you ever seen or heard something amazing – a scene in a film, a joke or a song – only to forget it later on? Instead of the crystal clear images you wanted to recall, you’re instead left with scraps of images and mangled sentences, or more frustratingly still, nothing at all. Even monumental events, like meeting a film star, can sometimes fade surprisingly quickly. There may be a disarmingly simple way to cement those memories, however. According to research by Chris Bird at the University of Sussex, all it requires is a few seconds of your time and a bit of imagination. Bird recently asked some students to lie in a brain scanner and view a series of short clips from YouTube (involving, for example, neighbors playing practical jokes on each other). Straight after some of the clips, they were given 40 seconds to replay the scene in their minds and describe it to themselves. For the others, they just moved onto a new video. It turned out that simply describing the event to themselves massively improved their chances of remembering it accurately a week or so later: on average, they were able to remember twice as many details. Bird also found that his brain scans appeared to reflect the strength of the memory: when the activity during their descriptions closely mirrored the activation as they watched the video itself, the students seemed to have built particularly strong foundations for later recall. That may, perhaps, be a sign of just how much effort and detail they were imagining as they described the scene. It could also be that it allowed the students to peg the events to other memories; one student compared a character in the clips to James Bond, for instance – instantly making him more memorable. In other words, if you want to make sure something sticks in your mind, just take a minute or so to describe it to yourself, consciously and deliberately picking the most vivid details. Bird can see how it might be particularly important in the courtroom. “The findings have implications for any situation where accurate recall of an event is critical, such as witnessing an accident or crime,” he says. “Memory for the event will be significantly improved if the witness rehearses the sequence of events as soon as possible afterwards.” But it could be equally helpful for anyone hoping to cling to something worth remembering. Which alternative below has the CORRECT information about the word and its function in the text? character (paragraph 5) – adverb. simply (paragraph 4) – noun. view (paragraph 3) – adjective. amazing (paragraph 2) – verb. FELICITY: I think there was an immediate sexual attraction, but at the same time there was a meeting of minds, and I think they challenged each other as well, I think there was a competitiveness between them, which often, when two people who are quite different… and I think it was that difference between them that brought them together. EDDIE: His relationship with the voice; I mean, the voice itself. It had never occurred to me when I got this part, “Why has Stephen Hawking got an American voice?” And the answer was, that was the first technology that came, and because his voice then became so related to… or his icon became so related to that voice, he’s never wanted to change it because that’s what we know as his new identity, and vocal identity, and my God is identity important! Jane Hawking nursed her husband for many years and, as Felicity Jones says, they managed to maintain a sense of humour. FELICITY: That’s so important, and that’s what we’ve wanted in telling this story is how both Jane and Stephen are absolutely hilarious , they have a very dry sense of humour, a very English sense of humour, and I think that’s partly what enabled them to cope with such difficult circumstances was that there’s always a witticism about it, and meeting Stephen, he was incredibly witty and insightful … and a very dry sense of humour. EDDIE: The astounding thing is that Stephen Hawking was given two years to live aged 21, and he’s now 71, 72. I mean, it’s against all odds , and it’s a staggering thing, and whether it is to do with his passion, his drive, his outlook on life, his humour, the specific strain of what the disease is, no one knows, but it’s a staggering thing, and he is a great icon of hope. A flamingo at a Brazilian zoo broke its leg. Unfortunately, the bottom portion of the leg had to be amputated to stop it from getting infected. The bird received a lightweight 18-centimeter artificial leg made of carbon fiber – a strong and light material – with silicon ends. The flamingo still limps a little, but it is becoming more comfortable with its new body part. It can already put the leg under body, something that flamingos often do. quebrou uma perna ao tentar fugir do zoológico. foi capturado com uma perna quebrada e infeccionada. adaptou-se completamente à perna artificial que lhe foi implantada. ainda está mancando um pouco devido à perna artificial implantada. tenta esconder a perna artificial, devido ao silicone. é totalmente flexível, por ser feita de silicone. teve que ser removida para evitar infecção. tornou a ave a principal atração do zoológico. é menor do que a perna natural da ave.
é feita de um material leve e resistente. People will be able to shop more fast with the help of the internet. We will be living more safely if we reduce the present pollution levels. It’s warmest now than it was in the same period last year. If we want to save the rainforest we should fight for best development. Mr. Day was a teacher at a school in a big city in the north of England. He usually went to France or Germany for a few weeks during his summer holidays, and he spoke French and German quite well. He studied very hard for a month, and then ___10___holidays began and he went to Greece.